Donetsk, Ukraine. 6 december 2013. 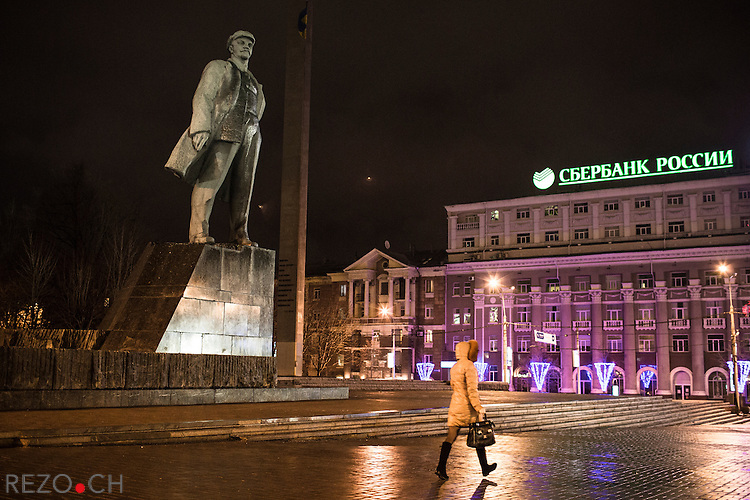 The statue of Lenin, on Artema street, in front of saving bank of russia.